Born 1963 in Hamburg, Joachim Held gratuated in 1988 from the Scola Cantorum Basiliensis with the diploma for Ancient Music, 1990 he made his diploma at the Musikhochschule Karlsruhe.1990 he won the 2nd price at the "Concours Musica Antiqua" of the Flandern – Festival in Brügge. By then he started intensive activities as continuo player as well as a soloist and chamber musician. So since 1993 Joachim Held is regularely performing with Nikolaus Harnoncourt, 2004 he took part in his performance of "King Arthur" by Henry Purcell at the Salzburger Festspiele. Since 1992 he took part in many performances and recordings with Giardino Armonico (Milano). Since 2005 he did several recordings for Hänssler-Classics, in 2006 he won the "Echo Klassik 2006" for the best solistic recording of music of the 17th and 18th century. His most recent recording was released in 2008: "Musique pour le Roi" – French baroque music for lute. 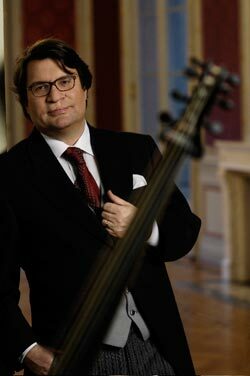 As a soloist Joachim Held performed at the Musikfestival Potsdam-Sanssouci, Internationalen Bachfest Schaffhausen, Schwetzinger Festspiele, Düsseldorfer Bachtage, Bachtage in Köthen, "Concerti a San Maurizio" in Milano, Early Music Forum in Budapest, Lute Society Concerts in London, Güldenen Herbst in Thüringen and at the Händel-Festspiele in Halle/ Saale. Since September 2007 Joachim Held teaches as successor of Nigel North at the Royal Conservatory in Den Haag.